Botox – Fillers are a great way to get rid of wrinkles and bring back youth. As a general dentist who is particularly interested in cosmetic dentistry, Dr. Mansoor is equally dedicated to both the health and appearance of your smile. Once we have your teeth looking their best, you may find that you have more to smile about. And now that you’re smiling more, you may be wondering how you can eliminate those unwanted wrinkles and lines around your mouth. With Botox and fillers, Gilbert dentist Dr. Mansoor can eliminate those annoying lines and wrinkles so smooth skin and a youthful appearance will complement your beautiful smile. For many years, Botox has been making news. Let’s consider what this popular topic really is. Botox is a brand name of a drug that comes from a neurotoxin produced from the bacterium called Clostridium botulinum. When injected into a muscle, Botox stops the traveling nerve signal from reaching the muscle. With this connection blocked, the muscle cannot receive the signal to contract and is effectively relaxed. Therefore, when you smile there are no more fine lines and wrinkles. Dr. Mansoor is a trained professional who will carefully inject Botox to eliminate lines and wrinkles around your mouth, between your eyes and above your eyebrows, as well as at the corners of your eyes if you want to get rid or crow’s feet. Each injection takes but a few minutes and there is only minor discomfort. 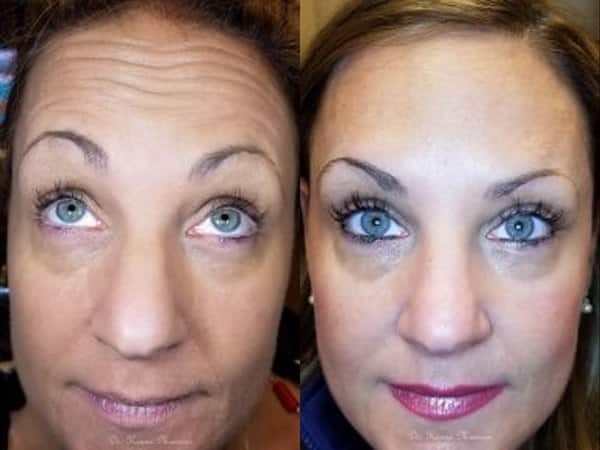 Fillers are another method of improving skin tone and reducing the appearance of lines and wrinkles. Also delivered by injection, fillers are made of a gel-like substance that Dr. Mansoor strategically places under your skin to smooth and plump the surface. 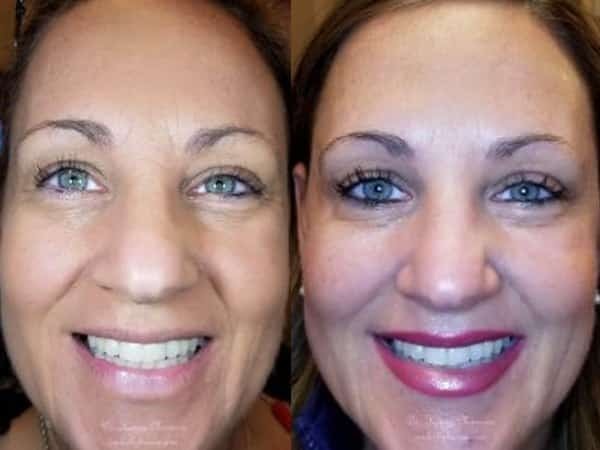 Fillers are perfect for softening creases and wrinkles in your face; plumping thin lips; enhancing recessed scars; and improving the appearance of shadowy contours. For Gilbert patients with temporomandibular joint disorder (TMJ), Dr. Mansoor uses Botox injections to relieve uncomfortable symptoms such as jaw pain, headaches and facial swelling. Just as Botox severs the connection to muscles that cause facial lines and wrinkles, it can also be used to relax jaw muscles that tightly contract. Botox injections can also be used to reduce or eliminate the painful discomfort that can happen as a result of teeth grinding and clenching. Whether you are considering Botox for cosmetic or medical reasons—or fillers to soften your features—Dr. Mansoor would be happy to consult with you. Contact Smiles by Hanna today if you have any questions, or if you’d like to schedule an appointment. Call our office in Gilbert today at (480) 279-3700.